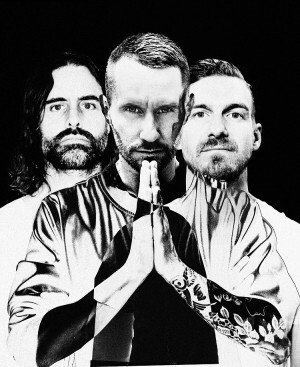 Miike Snow has rolled out a good ol’ fashioned love story in the video for their just-released single ‘Genghis Khan’. Lifted from the Swedish trio’s forthcoming album ‘iii’, due at the beginning of March, the track’s primed to take its place on summer radio playlists and the video’s a blast. It centres around a stylishly dressed James Bond-type character (we shall call him ‘James’ for argument’s sake) who’s been captured by “the baddies” and is about to be lasered to death by the head baddy. Fortuitously, the buzzer sounds signalling home time and James’ life is spared. But for how long…? The story then follows head baddy home to his rather chipper-looking family. Laying in bed at night, all he can think about is the spy captured in his lair. It’s enough to make him bound out of bed… and dance. We won’t give away the rest of the story, but suffice to say, it’s definitely worth the watch.